To leave a review or view past reviews on Trip Advisor, please click here. We highly recommend Mark’s Melbourne Tours. We took a 5 hour tour of Melbourne highlights. 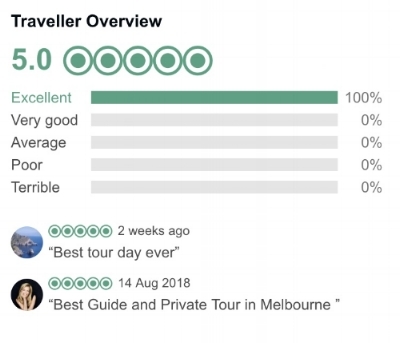 Mark is a Melbourne native, very knowledgeable & was able to accommodate the sights we wanted to see & he had very interesting recommendations as well. In Melbourne it’s Mark’s Melbourne Tours! Mark deserves a SIX STAR rating!